I'm enjoying hearing the story come to life, as well as reading it. Admittedly though I'm getting more out of the read than the listen. I'm NOT an audio learner and tend to avoid books on tape as a result. It's too hard to keep track of the finer points of the story, I find, but if I read and then write down what I read, I'm more apt to review it. That explained, I sat down with Voyage and a notepad and went to town! 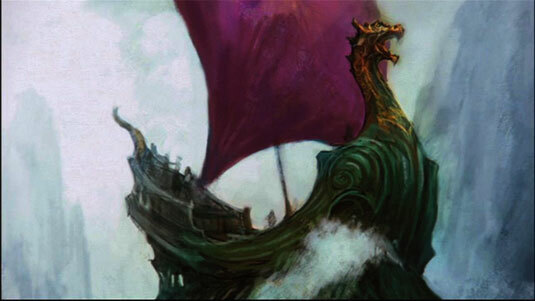 First of all, I revisited my earlier review of Voyage of the Dawn Treader. (Does anyone else hate reading their old reviews as much as I despise reading mine?) And I was wrong about how many times Aslan makes an appearance in the form of a lion in this particular book. He appears more than once in that form. To get started, one point that jumps out at me right off the bat happens during a discussion between Eustace, Edmund and Lucy. Got gradually balmier and balmier - "
Lucy hears what Eustace is saying and attempts to engage with him over it, and wants to offer some "reasoned" argument to his obnoxious claims. Edmund quickly sizes up the situation and advises Lucy against discussing Narnia with Eustace, saying, "His only longing is to be asked." Here we see Lucy - for many reasons wanting to reach out and try to reason with Eustace, whereas Edmund's insight into the situation causes him to realize that there is no talking about it at the moment. In fact, Edmund is right, for very soon after tossing out this clever limerick, in complete frustration with the Pevensie children, Eustace reaches for the painting of the ship up on the wall and tries to smash it. Edmund tells him not to be a fool. Eustace offers proof both with words and actions that he is, indeed, the fool. Narnia exists and it will come to him. It is happening whether he likes it or not! 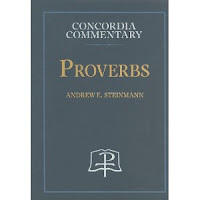 Proverbs 26:4 says, "Do not answer a fool according to his folly, or you will be like him yourself." Proverbs 26:5 says, "Answer a fool according to his folly, or he will be wise in his own eyes." 1. 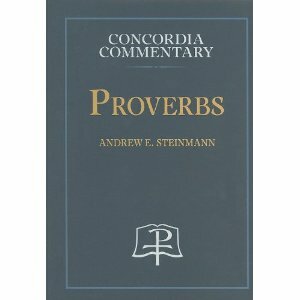 Proverbs 26:1-12 is all about fools so I started by reading these verses. I've heard this interpretation before and acknowledge it as my own. In general I don't feel like a fool deserves a "logical, reasoned", etc. conversation. However, when something is presented as a truth that is dangerous for an individual or a group of individuals to believe, then I do believe that fact must meet fiction. In the case from Voyage above, Edmund recognized that it was useless to engage with Eustace over the existence of Narnia. The taunting and the teasing were something that Lucy and Edmund were called to bear. However, when Eustace tried to grasp hold of something and destroy it, Edmund stepped in. Truth collided with disbelief. Eustace cannot then argue with wet water. Furthermore, once on board, Edmund and Lucy reacquaint themselves with old friends, Caspian and Reepicheep. Eustace, scowling and bitter, becomes haughtier by the minute. Caspian recognizes that his friends are feeling a little queasy, and offers them some spiced wine. This acts as a medicinal for Edmund and Lucy and their Narnian health is restored. Eustace, on the other hand, with grunts and moans discovers that the wine makes him sicker. Truth does that to the defiant. Eustance lacks discernment. He rails against the truth that he is surrounded by! He foolishly declares his own righteousness on board Aslan's ship and in the midst of an Aslan-appointedapproved mission. So when he is given truth to heal him, all it does it make him more sick. This is the state we find Eustace in. He makes fun of truth and is proclaimed a fool. He rejects truth and ends up being sent below deck to moan in agony over the rocking of the ship. He cannot comprehend truth and he despises it when it is served to him. By contrast, Edmund and Lucy who have already committed to learning the ways of Aslan, drink the Narnian brew and feel better. It heals, restores, and invigorates them for the journey they find themselves committed to. They are excited to be on this Voyage and to be back in Narnia. I have to say I am as equally glad as I can be - without actually being in Narnia for a physical fact. I echo Doug Wilson's sentiments from What I Learned in Narnia in saying that this is a series of books that is worth reading many times over, all throughout life. I'm glad to have the yearly excuse to do so. It's good for the soul. I'll stop there this time around and let this post serve as an explanation for where I'm headed on my own Voyage. Whether review or just a post, I definitely see improvements in all aspects of blogging over time for me. I'm sure you know from other book reviews that don't belong to you, but you have a natural way of reviewing a book. I figured you must take notes...though it's something that I have yet to do, though I know it would help me write a better review and help me understand the book even better. Wow!! You've given me much to think about. 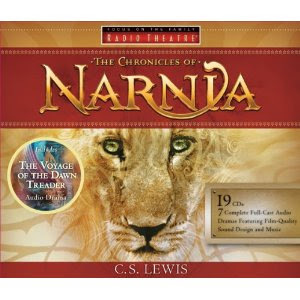 I agree that you can read the Narnia series over and over and understand something new each time. I agree with Stephanie -- so much to ponder here! Your reviews are great -- without being full of details from your personal life, they capture your personal reading experience and take and connection to the book. Always very interesting reading around here!